Tanya Zuckerbrot is a board-certified dietitian with a master's degree in nutrition and food studies. She has an answer for everything and that answer is FIBER. This book is not just about losing weight it is also good for anyone struggling with diabetes or high blood pressure. For recipes with pasta, the author uses multigrain versions. When making Macaroni and Cheese you get five grams of fiber per serving. Raspberries, dried figs, dried apricots, blueberries and pears also have a lot of fiber. So when you think "fiber" don't automatically think "dry hard to swallow cereal." This book is filled with delicious ideas. Through reading this book you can find out how many calories you should be consuming in a day to lose weight or to maintain weight. You may also start thinking differently about salads as they don't have as much fiber as I originally thought they did. It is more what you add to the lettuce that counts, for example adding beans and red bell peppers helps with the fiber content. It was surprising to learn that you'd need to eat eight apples to get the recommended amount of fiber in one day. Of course that is not something you want to do but shows how much fiber is lacking in the daily diet of most Americans. This book also explains why it is a bad idea to skip meals. The best way to use this book is to type up a basic menu for one day in one of three columns. I'd suggest the one recommended in Make the Connection: Ten Steps to a Better Body and a Better Life. Put his suggestions in the second column and then put in all the variations for the diet in the third column. This way you can see what you are eating for Breakfast, Lunch, Dinner and Snacks (put those words in the first column so every item has a row of its own). For instance if you look at the breakfast section you will see fruit as an option. Type out all the fruit options that are high in fiber in the third column. As you read through the book make a note of anything that looks good and is high in fiber. This really helped me to figure out what I wanted to eat for a day and makes shopping much easier. 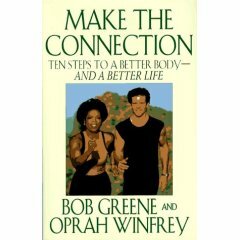 Over ten years ago, Oprah and Bob Greene wrote a book to tell the world how to lose weight in a healthy way. While Oprah still has issues with her weight (most recently because of thyroid problems - how I can relate) she continues to be a beacon of hope for the rest of the world. 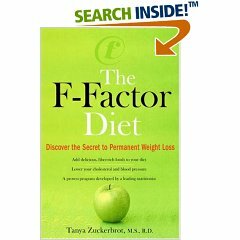 While many of us can relate to the roller coaster of weight loss and weight gain, this book shows that with a proper diet and serious exercise you can stand on firmer ground. Oprah's entries from her diary reveal the source of her eating problems before she had to deal with a thyroid problem. She lost weight by following Bob Greene's ten-step formula which is based on increasing metabolism and shedding excess weight through exercise. Why do you initially gain weight when you start a new program? Why do you reach a plateau? Why can eating more boost your metabolism? Why should you avoid alcohol if you are serious about exercising? If you are ready to make exercise a part of your day then you are ready for this book. Walking alone can help you lose weight. I lost 25 lbs just by walking and eating less. I can highly recommend the Subway veggie sandwich if you are trying to increase veggies, especially fresh and delicious ones. 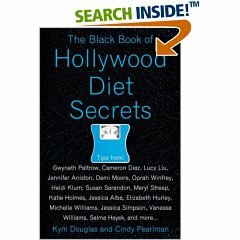 "The Black Book of Hollywood Diet Secrets" is a book filled with not-so-secret tips for weight loss. While it is true that you may have heard it all before (eat your veggies and protein), this book puts the tips in an easy-to-read format that is really fun to read. The tips include the basics of a healthy diet along with ideas for exercising more and more. The book begins with stars either saying they exercise all the time or that they don't at all. Are you willing to work out six times a week? There are very few stars in this book that say they don't exercise. Have you heard that artificial sweetners make you fat? If you need more motivation not to use them this book also explains that they dehydrate the skin. One surprise is that chocolate can help you burn fat. I'm sure they mean dark chocolate. It would have been helpful if the authors had promoted "stevia" as a natural sweetener. You may also be surprised to learn about the healthy benefits of parsley and asparagus. In the first French Toast recipe, the instructions tell you to mix egg whites in a bowl but they don't list how many eggs to use in the ingredient list. I assume they want you to use two eggs. They do remember to put in the egg whites in the second Banana French Toast recipe. Some of the stars interviewed say you should eat only egg whites while later in the book it is OK to eat whole eggs. Which is it? At times there is no consistency because everyone has a different idea on how to lose weight. It seems you have to make a decision based on the facts presented in each case. So will this book help you lose weight? I think the advice on walking is encouraging as I've lost 25 pounds walking one hour a day on my treadmill. I plan to lose even more now that I have some extra tips from this book. The advice about exercise is correct as far as I can tell and the diet tips could make a difference in how you view food on a daily basis. Little changes in your lifestyle could mean a loss in weight and that is what this book is all about.